There are multiple ways in which you can open Printix App on your phone, tablet and computer. Printix App opens in a web browser. Visit printix.net and select Sign in. 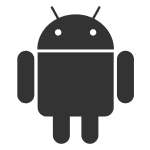 Select the Printix App on your Android device. Select the Printix App on your iOS device. !Opening via the Home Screen works well if you Sign in with email, but if you Sign in with Microsoft, or Sign in with Google, you will be asked to sign in everytime. Instead we recommend you to Bookmark Printix App in your web browser, or install the native Printix App for Android or iOS.